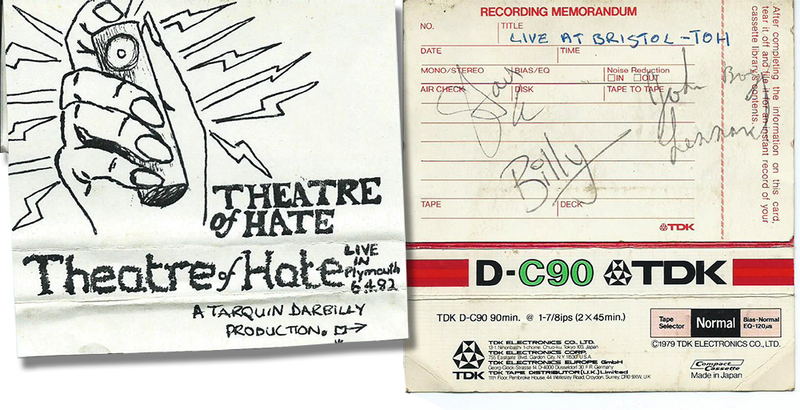 This Theatre of Hate Bootleg Cassette inlay from 1982 was signed by Billy, Stan Stammers and John 'Boy' Lennard after their show at Plymouth Top Rank on 6th April. The support act on the night was Southern Death Cult. The cassette inlay is from the Bristol show, and the bootleg cover is from the show in Plymouth.